CBS Sports and Turner Sports will once again feature a marquee lineup of announcers for their ninth year of combined coverage of the NCAA Division I Men’s Basketball Championship. All 67 games from the 2019 NCAA Tournament will be televised across four national television networks – TBS, CBS, TNT and truTV – and via NCAA March Madness Live, beginning tonight with the NCAA First Four on truTV. This year’s NCAA Final Four National Semifinals on Saturday, April 6, and National Championship on Monday, April 8, from Minneapolis, Minn. will be televised on CBS. Jim Nantz, Grant Hill, Bill Raftery, and reporter Tracy Wolfson will call the Final Four National Semifinals and National Championship for the fifth consecutive year. Rules Analyst Gene Steratore providing rules and officiating analysis in studio from the First Four through the Regional Finals and on-site at the Final Four in Minneapolis. Ernie Johnson and Greg Gumbel will again host studio coverage from the CBS Broadcast Center in New York City during the first full week of the tournament, joined by Charles Barkley, Clark Kellogg, and Kenny Smith. Johnson will host studio coverage from Atlanta during the second week of tournament action on Thursday and Friday, while Gumbel will anchor coverage from CBS Studios. Studio coverage originating from Turner Studios in Atlanta, hosted by Casey Stern during the first week, will feature Brendan Haywood, Seth Davis, Candace Parker, and college coaches. Wally Szczerbiak will contribute to studio coverage from New York City and Adam Zucker will provide game updates. 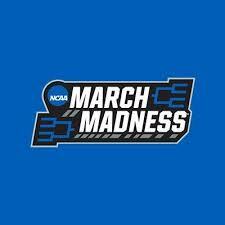 The tournament will tip off Tuesday, March 19, and Wednesday, March 20, with the NCAA First Four on truTV. Harlan will call Tuesday’s games with analysts Miller and Bonner, alongside Jacobson. Dedes will handle play-by-play on Wednesday with analysts Jackson and Smith and reporter Gold-Onwude. Studio coverage for the First Four will originate from Atlanta with Stern and analysts Haywood, Davis, and Parker. Accompanying the live television presentation, NCAA March Madness Live will once again be the ultimate digital destination for direct access to all 67 games of the NCAA Division I Men’s Basketball Championship. …Good Morning America’s Robin Roberts will host ABC’s opening night presentation of the 2019 National Football League Draft, live from Nashville, Thursday, April 25 (8:00-11:30 p.m. ET), on The ABC Television Network and streaming. Roberts will host the prime-time broadcast of Round 1, joined on a separate set by co-host Rece Davis and the crew from College GameDay Built by The Home Depot. For the first time ever, ABC will broadcast all three days of the NFL Draft in 2019, including back-to-back nights live in prime time, adding to the continued coverage on ESPN and NFL Network. ABC will provide differentiated coverage that focuses on the journey of the NFL Draft prospects, as viewers go up close and personal to understand the part their families play in their success and the hard work involved in attempting to become an NFL Draft selection. ABC coverage will feature Roberts, ESPN’s College GameDay team and other special guests. …Fox Sports announced plans for its new college football pregame show, featuring some of the biggest names to have played or coached the sport in the last 15 years. Host Rob Stone sits alongside a panel of analysts comprised of three-time national championship coach Urban Meyer, USC legends Reggie Bush and Matt Leinart, and record-setting Notre Dame quarterback Brady Quinn. The one-hour show airs each Saturday during the college football season on the Fox broadcast network beginning Week 1. The announcement was made by Mark Silverman, President, Fox Sports National Networks.